In 2014, the Digital Wine Communications Conference (formerly European Wine Bloggers Conference) (DWCC) took place in Montreux, Switzerland. Obviously, Swiss wine figured prominently at the conference. Without any doubt, the highlight was a Grand Tasting of Swiss wines, led by Jancis Robinson and Jose Vouillamoz. This was followed by a Walk Around Tasting of Swiss wines, with Swiss winemakers from all main Swiss wine regions presenting their wines. A limited group of us then had the opportunity to attend a Masterclass on Rare Swiss Varietals with Jose Vouillamoz and/or a Masterclass on Iconic Swiss Wines with Star Sommelier Paolo Basso. José Vouillamoz is a botanist and grape geneticist with an international reputation currently based in his native Switzerland. His massive book “Wine Grapes”, co-authored with Jancis Robinson and Julia Harding is the standard reference book about all grape varieties that are used to make wine in the world. José Vouillamoz presented a power-point presentation. I took pictures of many of the slides; you find them below. Jancis Robinson published an introduction to Swiss wines on her web site; I am quoting her extensively below. I also took note of her comments about the wines and are sharing them below. Switzerland is a small wine producer with about 15 000 hectares of vineyards only. This is about 15 percent of Germany’s total winegrowing area and a bit more than 1 percent of that of Spain. Only less than 2% of the wine is exported, mainly to Germany. 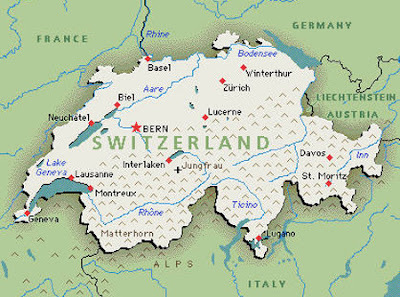 Switzerland's particular situation - in between four wine-producing nations (France, Italy, Germany and Austria) and itself divided into four different areas with different languages and traditions - has resulted in an extreme diversity of its wines, although wine is mainly produced in the French part of Switzerland, in the cantons of Geneva, Neuchâtel, Ticino, Valais and Vaud. Switzerland has an extensive range of grape varieties. Among the white grapes, the Chasselas is the most widespread. Müller-Thurgau, cultivated above all in the German speaking part of Switzerland, and Sylvaner are also popular. The main red grape varieties are Pinot Noir, which can be found in all the wine-producing regions of Switzerland, and Gamay, which predominates in the Valais; Merlot has found a second home in the Italian speaking part of Switzerland, the Ticino. In addition, there are 40 or so indigenous grapes, all of them practically unknown anywhere else in the world. Jancis Robinson: But all over Switzerland are passionately obsessive winemakers who each year are making better and better wines, many of them red, in such small quantities that they go straight into the cellars of the connoisseurs of Geneva, Zurich and Vaduz (Liechtenstein is close to one of the best wine regions) and are rarely mentioned in the international wine press. Only about 2% of Swiss wine leaves the country. Jancis Robinson: The Swiss have been careful to preserve their agricultural heritage, which means not only the preservation of the clanking cowbell Heidi tradition, but the preservation of some of the world's prettier and more inconvenient vineyards - the great majority of which are in the western French part of the country. Jancis Robinson: Swiss white wines taste quite unlike those of Germany or Austria, for example, because Swiss winemakers routinely encourage the second, softening malolactic fermentation so the wines seem much less obviously acid. They have also tended to increase most of their wines' final alcohol content quite considerably by adding sugar to the fermentation vat (a practice familiar to any Frenchman as chaptalisation) and so most Swiss whites taste much less tart and thin than the country's high altitude and relatively continental climate might suggest. Climate change is making chaptalisation unnecessary however. For the increasingly fashionable reds, Pinot Noir (also known as Blauburgunder or Clevener) is the dominant variety and is grown everywhere except the southern Ticino region, where Merlot is more popular. Jancis Robinson: The main grape variety by far here in the south and east of the country is Chasselas, which is also sometimes sold as a table grape. The sunny, south-facing slopes of the Valais in the upper Rhône Valley south east of Lake Geneva produce more Swiss wine than any other region. So dry and warm are summers here that some vineyards, many of them so steep they need to be terraced or worked with pulleys, may need irrigation from time to time. Local vine variety specialities in some of the highest vineyards include the characterful, full bodied white variety Petite Arvine, Amigne, Humagne, and the red grapes Humagne Rouge (also known as Cornalin), and some serious late-harvest sweet wines are made, sometimes from raisined (flétri) grapes. Further down the valley, some concentrated whites from Fendant (Chasselas), Johannisberg (Sylvaner), Ermitage (Marsanne), Malvoisie (Pinot Gris) are made, as well as some deep, red Syrahs which would impress many winemakers in Tain l'Hermitage miles further down the river Rhône in France. Much of the Pinot Noir and Gamay grown in Valais is blended to be sold as Dôle, Switzerland's answer to Burgundy's Bourgogne-Passetoutgrains (see Burgundy). The best producers include Michel Boven, Marie-Thérèse Chappaz, Claudy Clavien, Cornulus, Didier Joris, René Favre & Fils, Jean-René Germanier, Simon Maye & Fils, Denis Mercier and Rouvinez, and the most highly regarded areas, officially designated as grands crus, are Fully, Conthey, Vétroz, St-Léonard and Salgesch. The canton of Vaud, on the northern shore of Lake Geneva, is also an important Swiss wine region, and houses many of the larger merchants. Aigle, La Côte, Lavaux, Dézaley, Chablais and Yvorne are the main Vaud wine regions and are also dominated by Chasselas. Salvagnin is Vaud's version of Dôle, made here using a local clone of Pinot Noir blended with Gamay. Some Chardonnay and Pinot Gris is also grown here on vineyards which slope gently towards the lake, benefiting from its reflected, grape-ripening light. Some of the most respected winemakers are Bernard Cavé, Michel et Raoul Cruchon, Christian Dugon, Philippe Gex, the Ville de Lausanne and Raymond Paccot. The two grands crus here are Dézaley and Calamin. A wide variety of vine varieties is grown around the city of Geneva itself, where Gamay is now the most planted grape variety, but respect for Merlot, Sauvignon Blanc and Pinot Gris have been growing. In Neuchâtel, where the dominant varieties are Chasselas and Pinot Noir, pale pink Oeil-de-Perdrix (partridge's eye) is a popular local invention. JR: fresh, not very perfumed, reminds me of a Muscadet, on the palate quite full, there is a tradition of malolactic fermentation in Switzerland. JR: Less aromatic initially, but on the palate it is racier, has nice tension, saltyness. JR: I am a big fan of Arvine, does not travel well and is a speciality of the Valais, this wine is still young, excellent acidity, grapefruite notes, has great substance, lingers on. JR: Is in good shape, not too old, not oxidised, reminds me a of a good quality Pinot Gris from Alsace, seems off-dry to me. JR: Arvine can age somehow, this one is very racy, there are many 2002 wine out there that are much more aged than this one. Jancis Robinson: The wines of eastern Switzerland are quite different. Pinot Noir or Blauburgunder is particularly popular and is made in a wide range of styles from slightly sweet and juicy through seriously burgundian to a strong, sweet version made from dried grapes in the Graubünden region, a hotbed of experimentation. Reds make up 80% of production and Müller-Thurgau (also known as Riesling-Sylvaner) dominates the whites; indeed the largest wine region Schaffhausen is effectively a southern extension of Germany's Baden region. Baumann, Bovel, Gantenbein, Kesselrring, and Schwarzenach are some of the most reliable names. JR: Most widely planted grape variety, 3 very different Pinot Noirs, this one is fresh, with almost green aromas, light bodied, light tannins, reminds me of an Alsatian Pinot Noir, attractive lunch wine. JR: I really like this wine, very nice balance, not a heavy wine, very delicate wine. JR: Will age rather nicely, a bit young now, high in acidity, needs some time to calm down. JR: All three wines are very light. Jancis Robinson: The Ticino is yet another quite distinct winemaking zone in Switzerland (with an unusual tradition of still cultivating hybrids). Much of its produce is light Merlot designed to satisfy the Swiss thirst for wine of any quality so long as it's red. Some top-quality, oak-aged Merlot del Ticino and other international reds are made, however, from low-yielding vines grown in particularly well-favoured sites - even if few of them escape the clutches of the Swiss themselves. Brivio, Gialdi, Monti, Zanini and Zündel are some of the most admired winemakers. JR: Merlot has become very popular in Ticino, Ticino has become one of the best regions for Merlot outside of Bordeaux, this wine is beautiful, lovely colour, fresh, I love the nose, this is a style of wine I personally really like, very successful Merlot. JR: A little bit simpler on the nose, too early to drink. JR: Different animal, too early, very promissing. Thanks Jancis Robinson and José Vouillamoz for an highly entertaining and educational event.